You want the best cheap whiskey in the UK. I've got a list of the top 4 bottles of whiskey, all sold in major supermarkets, and all under £30. They have won international awards, beaten globally recognised brands, and challenged the most experienced whiskey critics to admit defeat. 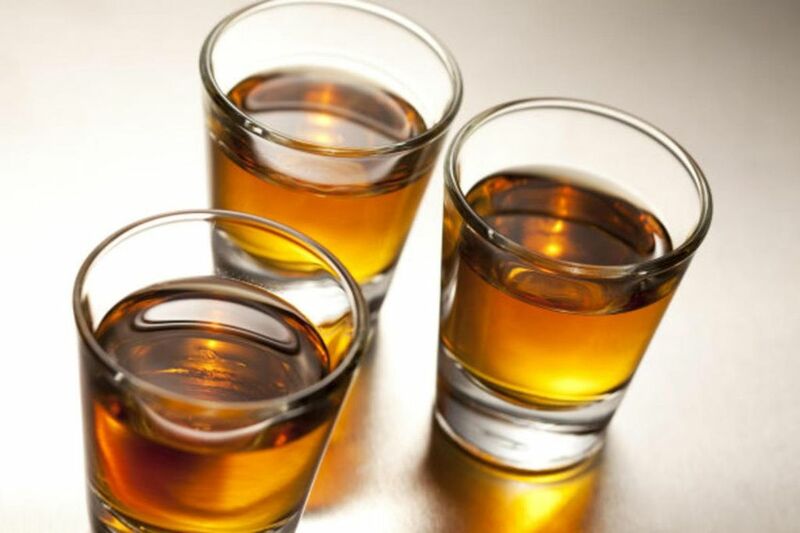 PLUS, I share three repeatable tactics you can use to make cheap whiskey taste even better. Let's get started. My name is Tom and I am a member of Latest Deals. We are a community of bargain hunters and extreme discounters. Together - and you're invited to join - we seek to maximise enjoyment with minimal effort. In the evening, when you want to relax and think creatively, a glass of whiskey can help. Moderate amounts of alcohol slow down behavioural inhibitory centres in your cerebral cortex, and at the same time increases the release of dopamine in your brain's 'reward centre'. That little voice that says so no, bad idea is quietened and you become more open to laughing and enjoying the moment. I think of whiskey (in the same way as I think about wine) as a tool to facilitate that experience. But, a big restriction to enjoying whiskey is the price. If you want a smooth, mellow whiskey with a palette of caramels, earthly woods and smoked oak, you'll need to pay a lot... unless you know the best cheap whiskeys in the UK. Here I give you the list for free, and at the bottom an additional three secret tactics from professional whiskey brewers to enhance your whiskey further. This is the best cheap whisky in the UK. It costs £13.49 from Aldi. It has won Gold and Silver in the International Spirits Challenge in 2015 and 2016, a global award judged by Master Brewers including Billy Leighton, Head Blender of Jameson, Shinji Fukuyo, Master Blender of Suntory, and Richard Paterson, Master Distiller of Whyte & Mackay. Samuel Muston, Deputy Editor of Mr Porter, described it as a 'mixture of malt and grain whiskies, it is rich with lots of fruit flavours. A remarkable whisky for the price'. A close second of cheap whisky is Glen Orchy 5 from Lidl. It won gold in the 2016 International Spirits Challenge, and came first in World Whiskies Awards for Scotch Blended Malt Whisky 12 Years and Under. Jim Murray, author of The Whisky Bible gave it 88 out of 100, shocking and upsetting many noses of the whisky world. Part of its secret is that it is made by Whyte and Mackay (Clydesdaly Scotch Whisky Co.), which was founded in 1884 and makes many of the world's expert's favourite blends. This splended whisky is more expensive than the first two cheap whiskeys, but is another winner from Lidl. It is winner of World's Best Blended Limited Release Whisky, and #1 UK Winner of Blended Whisky from the World Whiskies Awards. It has also been named top of the 21 Year and Over category and more. Great Drams, a website that reviews thousands of whiskies, described it as such, "the nose conjures images of rich orchards bursting with multiple varieties of fruit, all dusted with a cinnamon hue." Another best cheap whiskey, this time from ASDA. Winner of a Silver award in the International Spirits Challenge, it's received praise from The Telegraph, Financial Times, The Sunday Times and more lifestyle sections for its value for money. "Orangey notes, sugar-snap biscuit edges, tangerine, a lemon piff, nutty notes, peanuts and peanut husks - like the monkey nuts that you peal open." For the price, it's a good cheap whisky. Here are 3 additional tips to help you get the most from your cheap whiskey. Buying a good cheap whiskey is only half the story. You can improve any cheap whiskey with a few secret methods. Here, I share what I've discovered through experimentation, and if you like them, don't forget to join Latest Deals for more - it's free. Most people think of a whiskey glass as a tumbler. Perhaps made of crystal or with a heavy base. Hollywood, Mad Men and other shows always show the protagonist drinking from a tumbler. In fact, this is not the best glass. An easy way to improve the experience of your cheap whiskey is to drink it from a wine glass. The cone shape of a wine glass is specially designed to enhance smell. It has a wide base allowing the liquid to aerate more (come into contact with air), and narrow top to increase the concentration of smell by your nose. Regular whiskey drinkers use a Glencairn Whisky glass, but the volume and shape is not dissimilar from a small wine glass with a narrow top. Even better is to drink it from a brandy or cognac glass (pictured). If you like the idea of whiskey, but not the taste, it's probably the alcohol level. Spirits that are 40% or more in alcohol content can be sharp. Master Blenders sometimes describe it as an 'acrid creosote finish'. "The burning sensation is the alcohol - dilute it to taste the whiskey more." Just add water. You may think that sounds like a crime against the whiskey world, but in fact, it's a common place (and actually most accepted) mixer. Diluting whiskey with water takes away the sharp alcohol sting that can taste like nail polish, but keeps the actual taste of the malt. You do this anyway if you add ice, and reducing the temperature of whiskey does the same thing. You should add one ice cube at a time and keep diluting until the taste mellows to your preference. This is a fantastic way to make the most of some cheap whiskeys. If you buy a cheap whiskey, sometimes it can taste acidic. These flavours become more subtle with time, and that's why whiskies that are six to twelve-years-old have those finer, deeper, tastes. One hack to achieve the same palette is to aerate the whiskey. This is something that splits the Nose community in half. But just like wine, if you leave the whiskey in your glass for 5-10 minutes for drinking, give it a few gentle swirls, the taste will subtly change. Better yet, give your whiskey 3 years of ageing within 30 seconds with a rigorous shake (like you would for a cocktail), or but it into a blender. This 'injects' a vast amount of air into the whiskey in an instant. Whiskey purists and critics would cry at such an approach, but none would deny it would change the taste. Latest Deals is a community of people who love finding the best deals and discounts. We seek to maximise our lives for the lowest cost. Finding and drinking cheap whiskey is just one of hundreds of tips and tricks we have. Every day, I send a daily email with the best deals and discounts, an on our Facebook page over 18,000 people follow our latest finds. It's free to join and anyone can share a money saving post. You can sign up here.